I think it was about time to show you what I hauled for Christmas! I got most of these stuff online, some of them were purchased on Black Friday but my post office was so slow and I received them 10 days ago! I was also waiting for another package from Lush to arrive so I can show you all the things that I purchased but it literally just arrived so I didn't have the time to take pictures. I may do a seperate post, only with my Lush goodies! So let's start! As I mentioned in my Christmas beauty wishlist post , every Christmas I like to buy a perfume, this year I was planning to buy Vera Wang's Lovestruck, but I saw this set at Feelunique for only 18 euros and I said why not! You get a 30ml bottle of the perfume plus a small 5 ml one, and the body lotion! I've read really good reviews about this perfume and since it's not available in Greece, buying it online was my only option. But it's a risk buying a perfume you haven't smell before, there's always a chance that you may not like it, and now that I smelled it I'm still not quite sure if I like it or not, but them again I've used it only twice! It's a little heavy and a sweet perfume, but a unique one for sure! At first it caused me a headache, but in the past I've had perfumes that I couldn't stand and then later I loved! So who knows, I may eventually get used to the scent! This eye shadow palette is the highlight of my haul! Before November I've never even heard of this palette, and I think it was released last spring! But I was watching a Youtube video from ARose186 , and I suddenly started lemming it like crazy! It's a palette with only matte eyeshadows, and let me tell you it's so hard to find an eye shadow palette in the market with only matte eyeshadows, I think Too Faced has one but the colors are too cool toned for me. Amazing quality and pigmentation, all the colors are so pretty and neutral, perfect for subtle everyday looks or even intense night looks! Plus you get a full size Stila Smudge Stick Eye Liner in Halfmoon, it's a dark grey color, very creamy and long lasting! I got the palette from BeautyBay for 25 euros on Black Friday when they offered a 20% off. It normally retails for 32 euros, in my opinion it's a really good price for 10 high quality eyeshadows and a full size eye pencil. 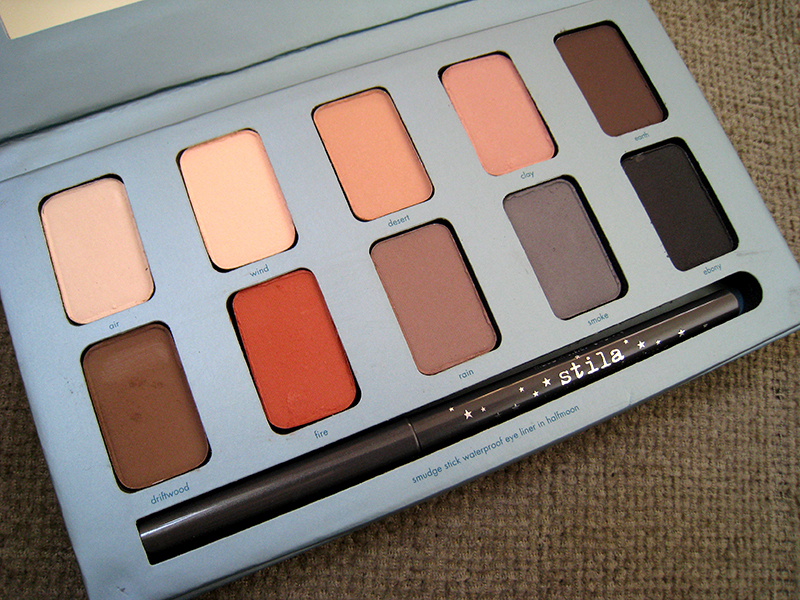 I may also get the In The Light palette in the future,which contains one of my HG eye shadows ever, Kitten! 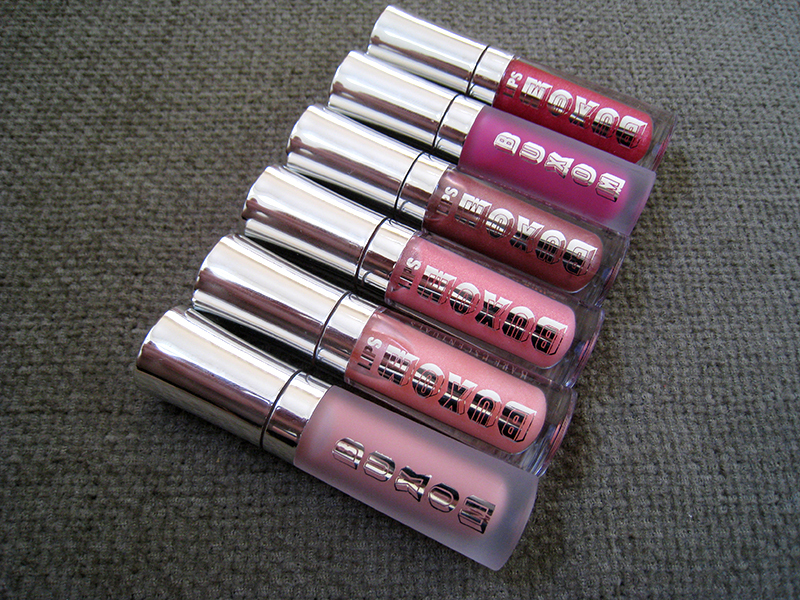 I was lemming this lipgloss kit for a while now, it was also in my Christmas Beauty Wishlist. It contains 6 different Buxom liglosses, with 2 different textures, 4 of them are Lip Polishes which have shimmers, and 2 of them are Lip Creams with no shimmers at all. Buxom lipglosses are supposed to be lip plumpers, I haven't notice if my lips look more plumpy with these on or not, but let me tell you if you haven't try them before the first time you do it feels so weird! It's like you put ice on your lips and that sensation does not leave until you remove the whole lipgloss from your lips! The one I use the most is the White Russian because it's a milky pink with cream texture and can be used on top of any lipstick! Katie is also my favorite which is light peachy pink with shimmers and Berry Blast which is a gorgeous berry color with no shimmers, perfect for the winter! 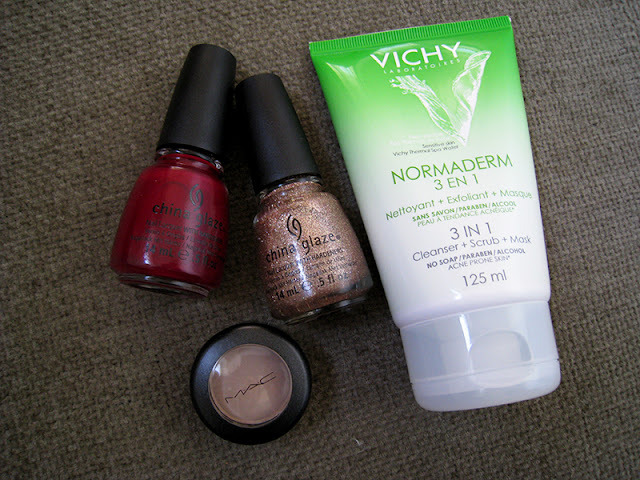 I have to mention that they are a little bit sticky, mostly the Lip Polishes, but not as much as the Mac lipglasses are. I got this exfoliator/mask 2 weeks ago from the drugstore, I was looking for a good salycylic acid mask for a while now, and this one from Vichy had really good reviews. I got it mostly to use it on my nose and chin area where I have the main problem with my break outs, and make my pores look smaller and clearer! I've used it 3 times, I haven't notice any difference on my pores yet, but I like the natural clear finish it leaves on my skin afterwards! I was looking for an eye shadow to use on my brows, that would have the exact same shade as my HG eye pencil from Mac, Lingering. I was told that Mac's Omega eye shadow is very similar to it so I went for it. I have to say that it's a tone lighter than Lingering but still in the same cool tone family, because I hate to use warm toned shades on my brows. I love the soft look it gives on my brows for an everyday use! I got these 2 shades from the new China Glaze Joy Holiday collection through Ebay. Merry Berry is a gorgeous and very sophisticated dark berry shade with a cream finish, a perfect shade for fall and winter! Champagne Kisses, which I showed you in my Christmas NOTD here, is a rose gold glitter nail polish, very festive, very Christmassy, I love it!! 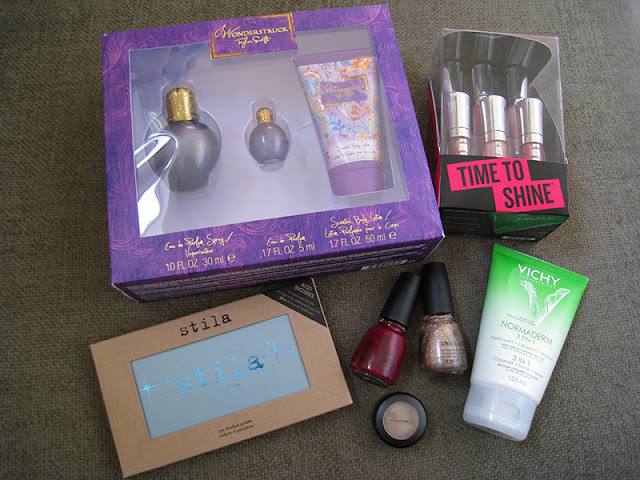 So that was my Christmas Haul, I hope you liked it! Have you try any of these products? What did you get for Christmas? Let me know! ααχ υπεροχα ειναι ολα!! θελω θελω θελωωωωωωωω!!!!!!!!! να τα χαρεις πολύ πολύ γλυκια μου! τελεια ολα!με γεια σου..αυτα τα γκλιτερ της china glaze ποσο μου αρεσουν,πρεπει οπωσδηποτε να παρω καποια στιγμη. Ναι ναι, ειναι υπεροχα! Καποια στιγμη θελω να δοκιμασω κ απο OPI! Σ'ευχαριστω πολυ Μαιρη μου!! Ειναι απλα τελεια τα glosses!! Thanks so much gia to follow! Xaxaxa finally!! They're amazing glosses, a better version of Mac lipglasses sticky but not super sticky and they do not create that awful milky ring on my lips! Ax, to setaki tis Taylor Swift k ego to exo parei!